Career Selection phase is one of the very important decisive point in everyone's life, students that choose specific subjects and specially those who are pursuing professional degrees in university think that the decision is easy for them, they will be joining the same career as their major subjects, but no one ever knows where your life will take you in the end. It is obvious that your future career selection depends on many factors like luck, mindset, interests, choice and opportunities, sometimes there are no jobs available in your area of interest so you may end up find another job and hence career. This way some people find even better careers than what they were looking for. The answer is simple, it is a basic human nature and human right too to decide what is good for him or what he feels to be interesting and attractive for him, as who ever the mentor, everyone listens to his own self for his person decisions and life's important milestones, most of the people want to be free and like to enjoy their personal thoughts and decisions for them. Secondly, everyone is the best judge of his own potential, capabilities and knows his positive and negative points, so after self analysis and being fore-seeing one can take this decision of his own. This way he will be the only one deciding the best for himself, he can focus on his goals and targets better and will try everything passionately to achieve his dream career. 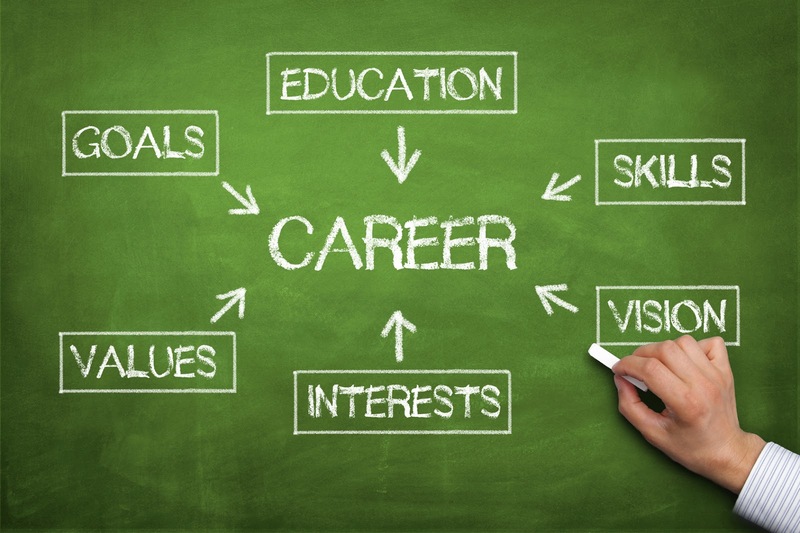 Career selection is a complex decision, it starts right after the high school, it basically depends upon the subjects that you choose in college and university, your core major subjects along with the degree you chose shapes up your future career. Along with your study life, your area of interest is of vital importance for this decision, for example, if you enjoy doing something or you do not get tired or bored doing something for long hours then that thing is your core area of interest and if you continue that as your career, you will excel quickly and there are more chances that you will be remarkably successful, lets take a scenario to understand this, for example, one person likes to play cricket, hockey, soccer or golf and he can play it for full day without getting bored, if he is able to take this interest of his to next level and become a professional player, he will most likely become very successful player. So the next step after completing your studies is to analyse your best area of interest to find the best opportunity. As already discussed that the career selection should be one's own decision still parent's advice must be taken into account, as they are more experienced, loyal to you, have passed similar stage in their life and want to see you successful and prosperous in future, so parents advice can help taking the right decision also prevent any wrong decision. Similarly, close friends, relatives, mentors or expert's opinion should also be considered. Although im supporting the idea of parent's recommendations for career selection, but sometime parents try to impose the decision on their children that lead to negative mind, lack of interest and de-motivation towards his own interests, moreover, when parents force their decision this makes child less keen as he has no interest in that field, so he may fail during the education part, which is the first step towards the selected career, all blame to parents in such situations. Lets all have a positive mind when taking this big decision, whether you are a student or parent of a student, positive debate and sincere advice can always help towards the right career path. Hi, I am the Owner, Author and Editor of Globalinfotainer. I started this blog as a hobby but looking to do much more things with it now. I am a Pharmacist but also have interest in writing, internet marketing and crypto currencies. i hope you will find my posts useful and share them. Regards.